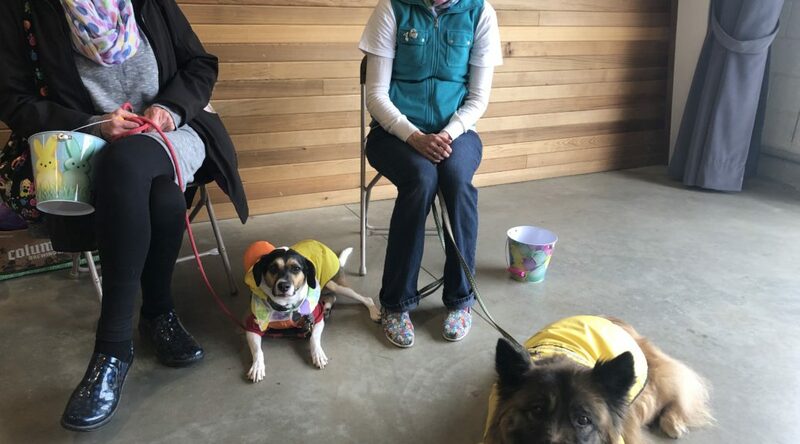 This weekend the 2nd Annual Easter Egg Hunt for Dogs was held in Westlake. The event was suppose to be outside Marke Square, but due to rain it was held inside. Dogs Life in CLE were the host of the event, an online organization that hosts fundraisers for animal shelters. 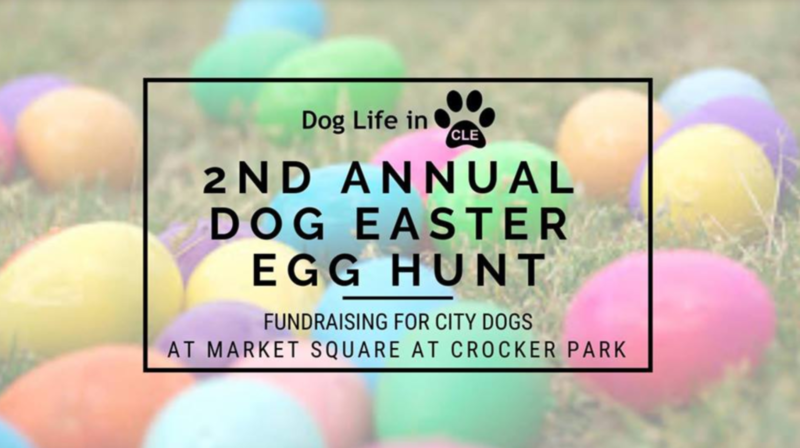 This time they decided to host an Easter egg hunt to raise money for City Dogs. The event had over 300 dog participants, ranging from tea-cup poodles to Great Danes. This is a popular event for the organization, last year it was reported that over 1,000 dog owners participated. This year Dogs Life in CLE made sure to prepare for the event. “Inside the eggs we filled dog treats. I actually had a group of my friends to come over and fill the eggs over the weekend and we had 2000 and 100 hundred eggs for this event.” says owner and Kent State Alumni Amanda Roush. 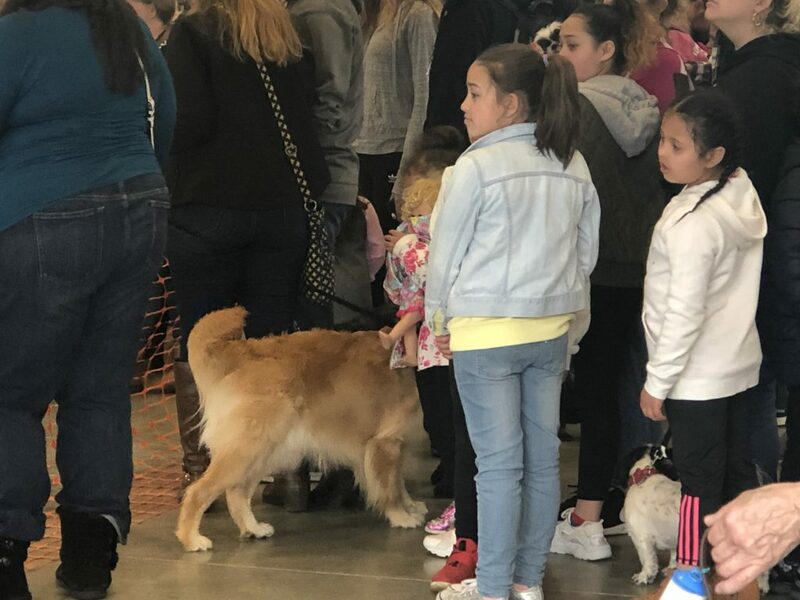 Another key to having a successful event was by separating dogs into different groups based on their size. Children watching the dogs hunt for eggs. The festivities weren’t just for the dogs, but also children. Although, it was said the Easter egg hunting was just for the dogs because dog treats were inside. Dog owners, Heather Bentley and Kim Cogniti had dogs who were more “laid-back” and socialize occasionally. Amanda decided to create the event after a similar event she used to go to stopped. “It’s going to be an annual event that we’ll do every year.” says Amanda. Rain coats for a rainy day. 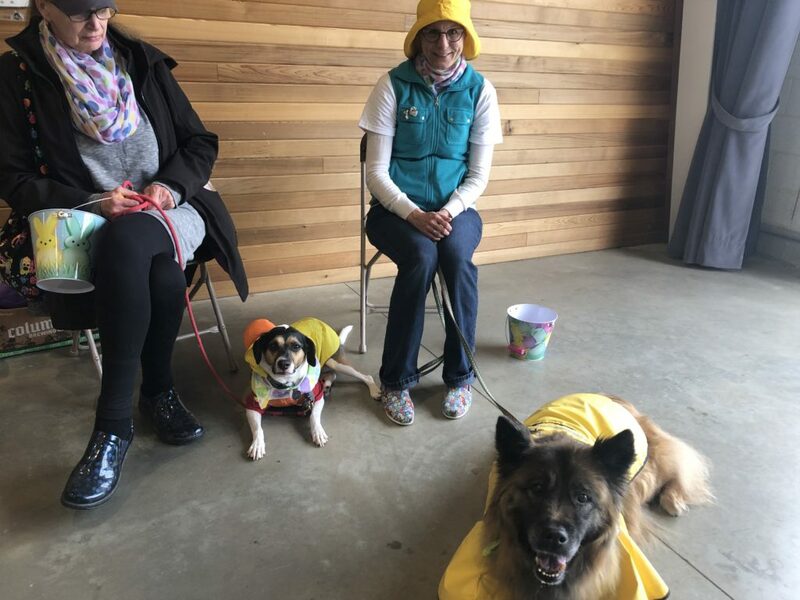 Owners were happy to dress their dogs in celebration of Easter. “We really, really love places we can bring our dogs.” says Heather.